Design Presentation is a one-stop-shop for all of your multi-layer CAD conversion needs. 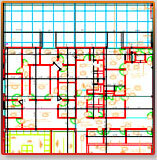 We can convert any drawing/document to a perfectly accurate, multi-layer electronic CAD format drawing. Our specialized CAD conversion techniques can convert your architectural, civil. engineering, plumbing, electrical, HVAC or landscaping drawings into a professional, accurate, multi-layer, fully editable CAD format (DWG, DXF, DGN, etc.) drawing. In addition, our experienced CAD conversion specialists can execute your job overnight. Design Presentation specializes in CAD conversion, CAD format conversion, CAD design and blueprint conversion, and vectorization of CAD drawings. Design Presentation aims give you the best multilayer CAD conversion results at very competitive prices. If you send us your CAD projects and drawings, we can process them and have them sent back to you overnight. Hundreds of clients have used our high-quality CAD conversion services to increase productivity. Companies are becoming increasingly reliant on precise digital formatting of their blueprints and CAD drawings. 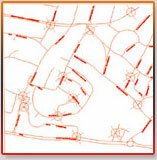 The final output is editable in DXF or DWG format because we create the drawing as a new file. We can create as many layers as you require. 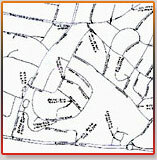 We generate separate layers for dimensions, text, body, hidden lines, and centerlines. Text is separated and has its own layer (and is recognizable as text). We use blocks for different entities (doors, windows, plumbing fixtures, electrical fixtures, fittings, furniture, etc.). Design Presentation has many years of experience in multi-layer CAD conversion, CAD format conversion, and CAD vectorization. 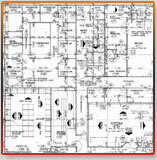 We focus on providing CAD support, modeling digital formatting of blueprints and CAD drwings. We would welcome an opportunity to help you with CAD conversion. Just send us the scanned drawings that need to be convented to CAD, and we’ll get back to you immediately.